With over a hundred rug washers from around the country coming, we are very proud to announce that Serafian’s is hosting rug Summit IX. 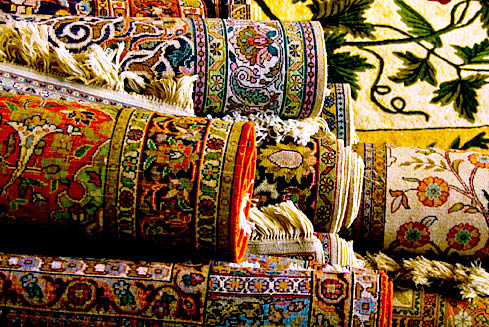 Welcome to Serafian’s new informational series, “Rugs of the World”! We think hand woven carpets are some of the most fascinating, beautiful things a person can learn about, and our goal is to share our knowledge of this extensive subject with you. Being able to recognize a rug and know its origins and worth is incredibly rewarding, and we would love for you to know your rugs! We’re starting with the beautiful and tribal Bokhara. 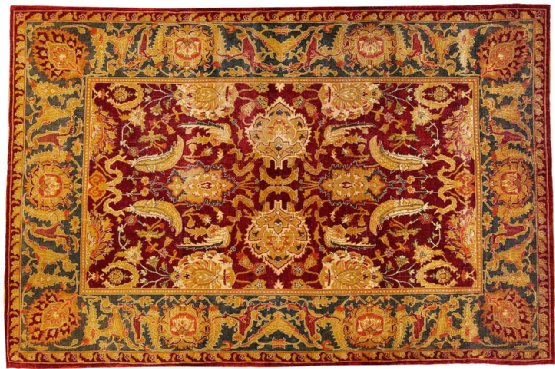 Often referred to as Turkoman, after the region of Afghanistan from which they come, Bokhara is one of the most popular and common Oriental rug designs seen in the United States. The design originated with the Turkoman tribes in Northern Afghanistan and Southern Turkmenistan. There are 23 different Turkoman tribes, and each tribe has its own unique signature design. The predominant design feature of a Bokhara carpet is the gul (flower). This is the repeating eight-sided medallion seen in the field of the rug. Each tribe has different designs that it uses in the gul. This is how we identify where true Turkoman carpets were woven. This design is also called “the elephant’s footprint”, for obvious reasons! Typically found in deep, rich, and dark colors, such as red, black, and gold, Bokhara add warmth and luxury to any living space. Because of their geometric patterns and typically dark colors, Bokhara are considered both masculine and modern. The rugs shown here are woven between 75 and 150 knots per square inch, and have been one of the most popular mainstays in American homes for many years. Antique and delicate rugs require different attention than rugs of a more commercial nature and thus need different approaches to cleaning. 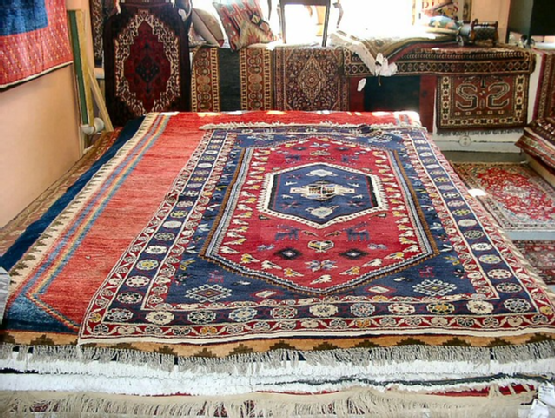 Professional rug cleaners in Albuquerque who are experienced in dealing with delicate rugs will inform you that it is not best practice to use high temperature cleaning machinery on fragile and antique rugs as the patterns and dyes on the rugs will then fade. Rugs that are glued to the floor will certainly start to come apart should hot water begin to dissolve the glue. This is one of the biggest reasons that you need to brush up on the heat tolerance level of your fragile rugs before seeking the services of a reliable cleaning company. Stay away from hot water: Do not use hot water on delicate rugs. Lightly soiled rugs are best cleaned with a cold-water machine. Low moisture machines: Try to work with a rug cleaner that offers low moisture machines as these serve several purposes – rugs dry faster, the machinery uses less water and it causes less stress to the rugs being cleaned. 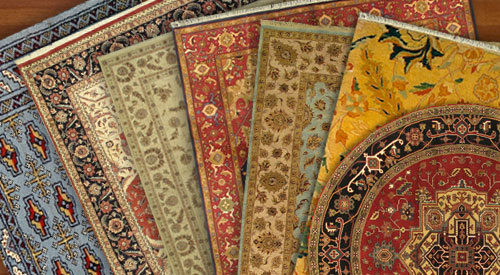 Experienced rug cleaners: Use rug cleaning companies experienced in dealing with antique or delicate rugs. Consider the use: If the affected fragile rugs you intend to have cleaned are located in a low traffic area, chances are that they will require less frequent and less severe cleaning, thus the rug cleaning company should adjust their cleaning strategy and methods accordingly. 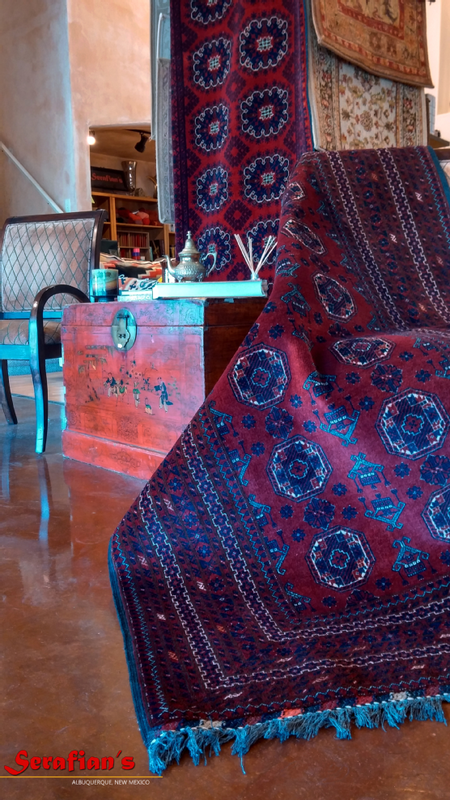 With years of experience serving as rug cleaners in Albuquerque, Serafian’s Oriental Rugs has grown its base of satisfied customers. With their dedication to fantastic customer service and their advanced cleaning machinery and technology, they remain miles ahead of their competition when it comes to their team of rug cleaners in Albuquerque. Any area rug cleaner in Santa Fe knows how much a rug can mean to its owners. There are few things as welcoming and visually appealing as a beautiful area rug and it’s also a highly practical addition to any home. As a rug owner, you don’t want to lose that elegant, cozy and comfortable feeling in your home that only an area rug can provide. Make sure that you use the appropriate cleaning methods for the style and type of area rug that you have. The upkeep of any stylish interior design look goes hand in hand with a good maintenance plan. Area rug cleaning is part of this plan. Nobody will enjoy an area rug that is dusty, ragged or damaged. The reason for investing in an area rug is to improve the esthetic appeal of a room. To maintain this benefit, an area rug should be in good condition. An area rug that is torn or damaged will ultimately ruin the look of the room, no matter how much effort you put into decor. It is essential to hire a trustworthy area rug cleaning service regularly. A clean area rug will not only ensure that your home is complimented but will also improve your health. If your family members are prone to suffer from allergies and conditions such as asthma and eczema, it would be a good idea to keep your area rug clean, as dust attracts more dust. A dusty, dirty area rug will disperse particles every time you use it. This will only make things worse if you are already sensitive to dust. 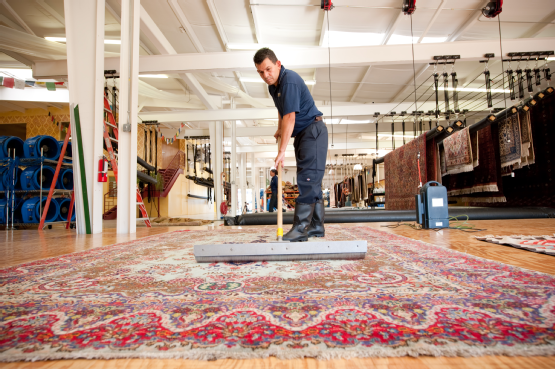 Let Serafian’s Oriental Rugs take care of all your cleaning needs. Give us a call to find out how our area rug cleaners in Santa Fe can take care of your rugs. The idea of finding someone who specializes in area rug cleaning in Bernalillo might seem like a waste of time and money. I’ll do it myself, you think. What can a specialist do that I can’t? 1. A professional knows which cleaning products are best suited for which rug. Not all area rugs are made from the same materials. What is good for one might cause harm to another. 2. An area rug cleaning specialist will have the right tools for the job. Most of the equipment you own or can rent does not measure up to the equipment used by a professional. Renting equipment to clean your area rugs is also not that much cheaper than sending them out to be cleaned. 3. Certified technicians use the equipment. When you hire an area rug cleaning specialist you can be sure that trained professionals will use the right equipment. The right tools in the wrong hands can be a disaster. 4. An expert can identify problems such as mold growth. Mold on area rugs is common when it is humid, and can be dangerous to your health. An expert is trained to identify the first signs of mold growth and will take care of the problem before it’s too late. These are just some of the reasons why you should enlist the help of a professional. If these are not enough to convince you, visit the Serafian’s website for more. Or, just stop wasting time and hire someone who knows about area rug cleaning in Bernalillo today. You and your rugs will be grateful. If you are the proud owner of a handcrafted area rug, you know the importance of having it cleaned by a professional area rug cleaning in Rio Rancho who will treat your rug with the care and reverence that it deserves. We love not only the practicality of our rugs but also their beauty. We appreciate that each rug is the end result of supreme skill and expertise, passed on from generations of artisans around the globe. Each rug has its own story to tell and sometimes they feature designs that are so intricate that they are impossible to reproduce with a machine. Because rug making is such an ancient and time-honored tradition in many parts of the world, the materials used are almost always natural and include wool, cotton, silk, jute and animal hair. You should always be mindful to use only highly skilled professionals to clean these valuable works of art. Hand-made rugs are either knotted or woven and they can become even more valuable as they grow older. It is important to make use of professional area rug cleaning experts who have the knowledge to preserve your rug for as long as possible. 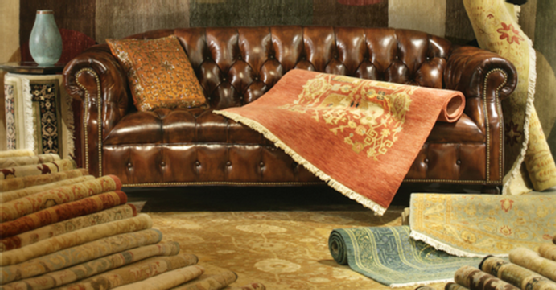 One of the most distinctive and telling features of a hand-made rug is its fringe. While fringe on a machine made rug is sewn on, fringe on a handmade rug is an extension of the rug itself. Consequently, it is best to have your handmade area rug cleaned by experienced area rug cleaning professionals who do not use brushes, scrubbing or any other harsh methods that could severely damage your precious rug. If you are looking for an area rug cleaner in Los Lunas, NM, just follow the link to Serafian’s Oriental Rugs. How many times a year you should have your rugs professionally cleaned depends on your home environment. We say at least every two years but for some area rugs in certain homes this might not be enough. This recommendation is based on the fact that our cleaning method is both much more thorough and a bit more expensive that some other services but it is well worth it to take care of your investment. 1. How many pets are in the home? Apart from bringing in dirt from outside, pets also shed hair and excrete oils. They are messy eaters and drinkers and often choose rugs and carpeted areas as napping spots. The more pets you have and the larger they are, the more often you will have to clean your rugs and carpets. 2. How many people live in the house? A large amount of traffic amounts to a large amount of dirt. People shed hair and skin cells and if they don’t take off their shoes when entering the house, they will also bring in a lot of dirt. 3. Does any member of your family suffer from allergies? Clean rugs and carpets reduce the allergens in your home. Pets and people carry in pollen and if you live in a humid environment mold can often be found growing inside your home. Hire area rug cleaners regularly to prevent these allergens from building up to a point where they start affecting your health. 4. Does your rug have a warranty and what does the warranty require? Some area rugs (especially expensive ones) come with a warranty and strict instructions on how often they must be cleaned. Make sure you follow these instructions to ensure that you don’t forfeit the warranty. If you are still uncertain, get in touch with an area rug cleaner in Los Lunas, NM. Finding an area rug cleaning service in Santa Fe can be a hassle if you don’t know where to look. The most affordable option doesn’t always mean you are getting the best deal. 1. Search the Internet for reviews. This will give you a clear indication of the customer service they provide. Nobody can tell you more about a company than its previous clients. 2. How is their customer service? A reputable service provider knows that first impressions matter. If they come across as being rude or unhelpful you know that they probably don’t really care about the kind of service they provide. 3. Do they give quotes? A company that does not give you a quote before starting a job should not be trusted. Chances are that they are looking to leave you with a surprisingly large bill once the job is complete. 4. Do they offer a money back guarantee? If they do, you can hold them responsible if something goes wrong. It also shows that they have trust in their own abilities to do the job right. 5. Make sure that the company you want to hire is using the latest equipment. New, well-maintained equipment will not only do a better job of cleaning your carpets, but an experienced and qualified technician is just as important. 6. Make sure the technicians using the equipment are properly trained. The right equipment in the wrong hands can do a lot of damage. What you should be looking for are certified carpet cleaning technicians. Also ensure that an official restoration body has certified the technicians. It is important to remember that no matter how much time and effort you put into cleaning your rug it will not compare to the deep-cleaning service a professional rug cleaner will provide. So let Serafian’s Oriental Rugs help you to find a professional area rug cleaning service in Santa Fe. Believe it or not, this isn’t a rug. This is a pile of dirt. 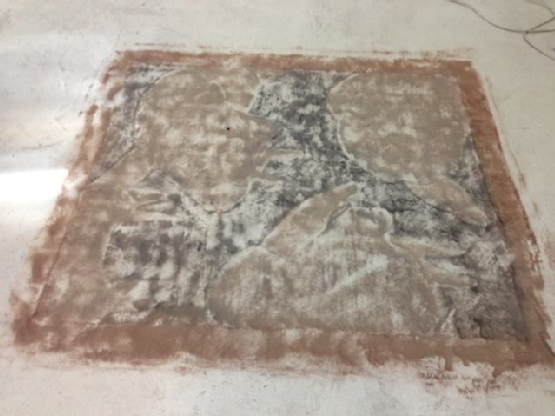 The rug this came from was so packed with dirt, that when we turned it over and beat the back side of it, you could clearly see the pattern and colors of the rug. This was caused by the dirt slowly grinding away at the fiber of the rug from the inside, so when we beat it, a lot of wool came out alongside the dirt. Unfortunately, that slow grinding process took a lot of life out of this rug. Packed in dirt is the number one killer of rugs over time. This is why we recommend having your rugs cleaned every two years. Doing so will prevent the dirt from getting too deep into the foundation and taking years away from the life of your rug.